Sitting only three miles southeast of downtown, Cherry Creek is Denver’s premier shopping and dining neighborhood with an unbeatable lifestyle and access to all things Denver. It’s home to Cherry Creek North, a special mixed-use district with over 600 businesses and 16 walkable blocks to shop and dine. The neighborhood is also a destination for art lovers and serves as a home for many notable art galleries. From high-end boutiques to luxurious spas and retail, Cherry Creek is a place where people go to live, work, and play. Adored by young professionals, families, and empty nesters alike, it is made up of single and multi-family residences, including mid-rises, luxury hotels, and office buildings. 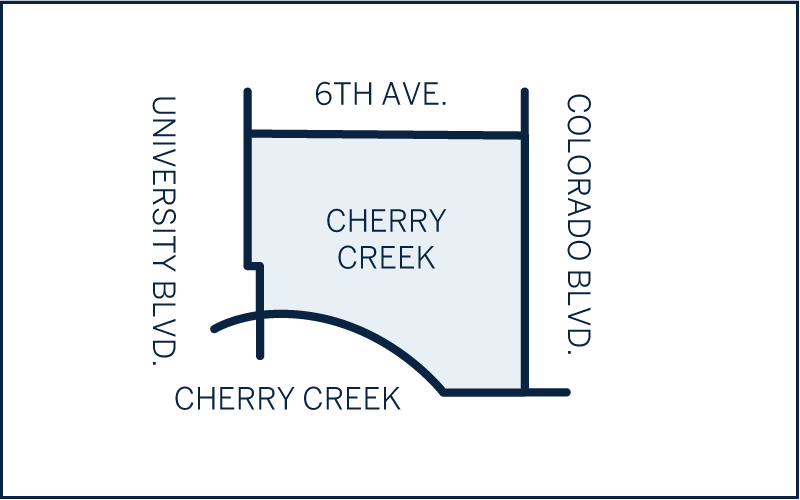 In Cherry Creek you’ll enjoy both classic and contemporary designs with several historic homes and newer builds in the mix. Prices range from just under a million to several million and up.